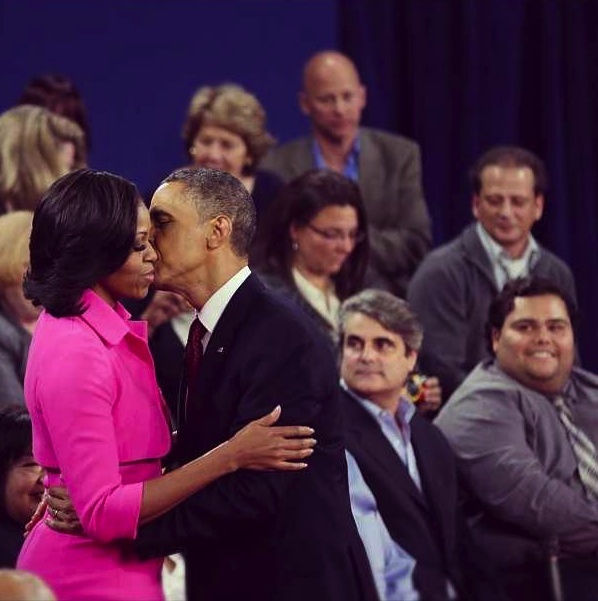 * President Obama steals a kiss from First Lady Michelle Obama, after an intense debate Tuesday evening. Lil Kim looks conservatively chic, posing at Mr. Chow’s restaurant. Naomi Campbell snaps a pic with Bravo’s Andy Cohen and tweets about the first time the two met.